June 2010 has been a very busy and rewarding month. I just returned from my final June 2010 trip to Africa. The month started in Morocco with a visit to Exercise African Lion, followed by my first return visit to Liberia since Operation Onward Liberty began in January 2010. In the latter part of June I participated–along with United States Army, Marine Forces, and Air Forces Africa Command Senior Enlisted Leaders–in a Warrant Officer Leader Development Program for the Republic of Sierra Leone Armed Forces (RSLAF). I returned to our headquarters briefly only to travel to Cape Verde to embark on the USS JOHN L. HALL as it transited from Cape Verde to Dakar, Senegal in support of African Maritime Law Enforcement Program and a Search and Rescue Exercise. Exercise African Lion in Morocco is an annual exercise promoting training interoperability and integration of Royal Armed Forces of Morocco and US Marine Forces. This is my second visit to African Lion. Last year I visited the command post exercise in Agadir; this year I visited the field training and live fire exercise in Tan Tan. Each year the exercise builds on the preceding year’s activities which are what our partner nations are asking us to do in our exercise programs–improving operational capacity. Kudos to Marine Forces Africa for another successful exercise. From the hot, dry desert in Morocco, I proceeded to the hot, steamy environs of Liberia. This is probably my 6th or 7th trip to Liberia over almost three years–during that time USAFRICOM has been supporting the development of the Armed Forces of Liberia (AFL) under a Security Sector Reform (SSR) Program with US Department of State in the lead. US Department of Defense has been supporting–and continues to support–SSR via Defense Sector Reform focused activities in Liberia. In January 2010 Department of Defense, i.e. USAFRICOM via Marine Forces Africa, established Operation Onward Liberty (OOL). OOL consists of 45-52 US military personnel who partner with the AFL in order to build institutional, operational, and human capacity in the AFL. It’s still too early to attempt measure or assess results but from my discussions with AFL leaders, the OOL cadre is making a difference. We must be patient. Toward the latter part of the month I departed again to Africa. This time to Sierra Leone to participate in the first WO Leader Development Program sponsored by the Navy Security Assistance Office in Pensacola, Florida. The three week professional military education (PME) program was held at the Horton Academy on the International Military Assistance Training Team (IMATT-UK led) compound in Freetown. Heretofore the Horton Academy hosted only officer PME. What was most profound was to see the WO Leader Development Program and the LTC-MAJ Staff Officer Program come together for several modules of instruction and guest presentations. This integration of officer and WO PME does not occur often, if at all, in Africa. I applaud the RSLAF for agreeing to this initiative; clearly, this could be an example for many to follow. We–the command senior enlisted leaders of US Army, Marine Forces, Air Forces, and AFRICOM–had the privilege of delivering guest presentations to the consolidated classes. These kinds of activities and engagements allow us to improve human/ leadership capacity in partner nations. We should be doing more of these types of engagements. Finally, I closed out the month’s activities underway on the USS JOHN L. HALL, FFG 32. Each year I attempt to spend dedicated time with each of USAFRICOM’s service components in Africa. Throughout the year during my travels and engagements with partner nation leadership, I often meet US Army, Marine, and Air Force personnel conducting meaningful operational and human capacity building activities in Africa–on land. I don’t normally meet too many Sailors unless I intentionally focus on the maritime domain. So this was my time to focus my energy on our Shipmates. The result–AWESOME. The leaders and crew of the USS JOHN L. HALL FFG 32 out of Mayport, Florida were dedicated, motivated, and professional. We departed Mindelo, Cape Verde and were underway until Dakar, Senegal where I disembarked. While underway the ship conducted limited gunnery and helo operations. I continue to have the greatest admiration and respect for the USN. The Africa Maritime Law Enforcement Program (AMLEP) was abbreviated in Cape Verde but the Search and Rescue Exercise in Senegal was executed. In addition to me, the USS JOHN L. HALL also had two ship-riders from the Cape Verde Coast Guard. I was proud to be considered a Shipmate during our days underway. Here again, another program that improves and builds operational and human capacity in partner nations. By now, anyone who has been following my blogs knows what guides me during all my engagements with partner nation military forces. It hasn’t changed. 2. Listen, listen, listen. Talk is cheap. Listening is golden. 3. It’s for the long-term, not short term rotations or arbitrary timelines. Nothing happens quickly in Africa. Much will go wrong. Commitments and perseverance are essential. 4. Understand that actions speak louder than words. The image of America in much of Africa is that of a 20 year old Peace Corps volunteer who lives among the Africans, learns their language, earns little, and is eager to learn. Look for my next blog in August. 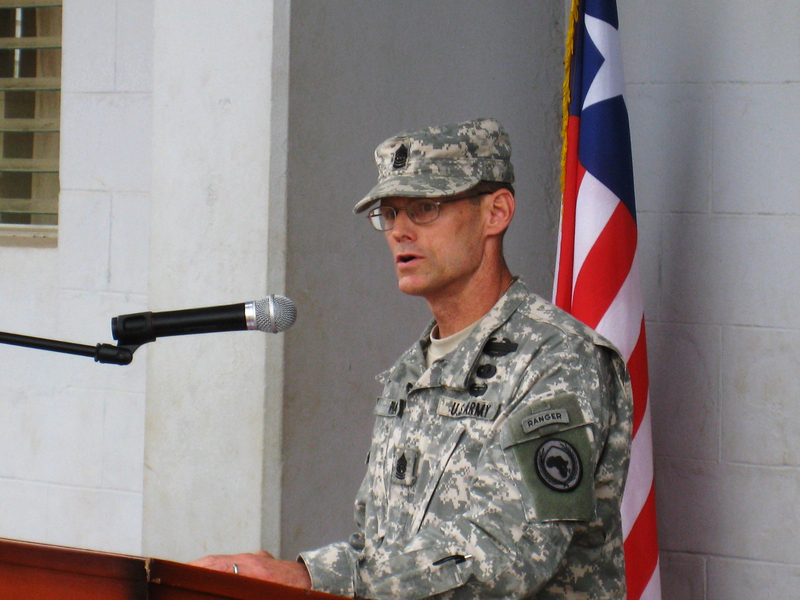 This blog is also on U.S. Africa Command’s AFRICOM Dialogue at www.africom.mil.